You are at:Home»Herbs»Paeonia officinalis Linn. Latin name : Paeonia officinalis Linn. Description : It is alterative, analgesic,antiallergic, antibacterial, anticonvulsant, antiinflammatory, anodyne, antiseptic, antispasmodic, antitussive, cardiotonic, carminative, diuretic, astringent, bitter, emmenagogue, expectorant, febrifuge, mildly hypotensive, immune stimulant, liver tonic, nervine, sedative and tonic. Paeony root has been successfully employed in convulsions and spasmodic nervous affections, such as epilepsy, etc (since the days of Hippocrates). It has been recommended for obstructions of the liver, and for complaints arising from such obstructions. 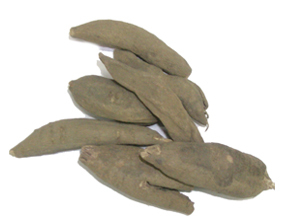 The root may be employed to treat whooping cough, kidney, jaundice and bladder problems, gout and asthma. It is one of the most highly prized women’s herbs used traditionally to help regulate the female hormonal cycle. It is considered to be highly effective in relieving menstrual cramps and also helps menstrual disorders, including heavy bleeding and bleeding between periods, and is specifically used to treat period pain. It reduces muscle tension, yet at the same time stimulates uterine muscles. It is used as an antiseptic and hepatotonic, as well as used for female infertility. Lowers blood pressure and increases blood flow to the heart through the coronary arteries. It also exhibits fever reducing properties. By constricting the blood vessels it has a beneficial effect on haemorrhoids and varicose veins. Contraindication : This herb is not recommended during pregnancy as it can stimulate uterine contraction. An overdose can cause gastroenteritis.